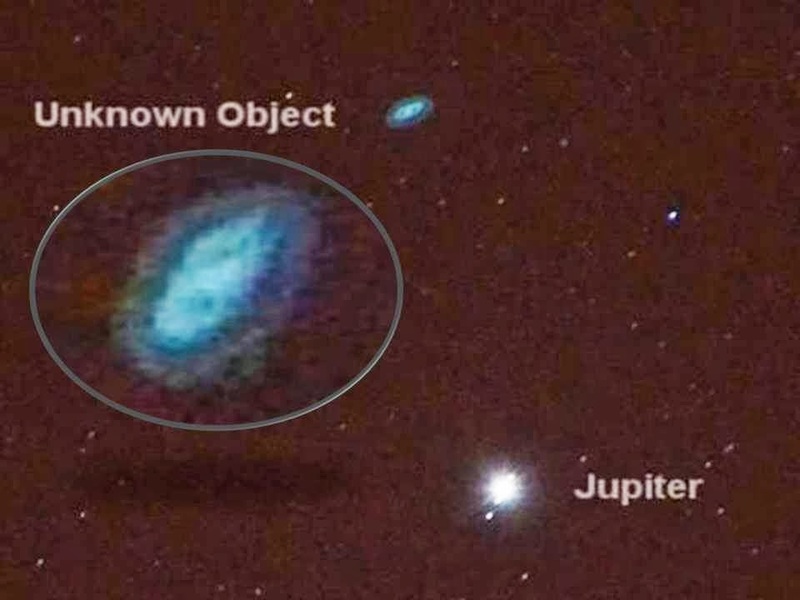 Incredible object caught near Jupiter, which seems to have a core shaped like the number "8". The four frames (gif) indicates it has a flight path, this rules out lens flare in my opinion. Whatever this object is, its huge in scale, and its heading our way, so further sightings of this mysterious object should be forthcoming. What could it be? Alien Mothership, Extraterrestrial Biosphere, Archon or something else? It surely is one of the many unexplaiable phenomena that occurs in deep space but certainly is no Archons as they seem to have a specific shape and meanings to exist, the 8 shape alone would seem to be something odd no doubts but archons or a double archons possibility should be disregarded as Archons do have a specific shape that is recogniazable and this do not seem the case, so whatever it is ain't not archons but rather one of the many unexplainable mysteries like the space snakes or other mysterious things that regurarly occurs in space simply without rational explanation and if its heading toward us soon we should know better, as Archons are the negative inorganic controllers of humankind and have not place to be so distant from earth I think, but I guess its just my opinion let's hope somebody more qualified than me can give a better explanation but they're not archons I'm pretty sure ! A tiny nebula? A mass cloud of ice, dust and comet debris? USO (Unidentified Spatial Object)? it could be anything until we prove its really there or find out what it really is. Though as of now, it's an Unidentified Spatial Object since we have no clue what it really is. Be interesting to see any more info relating to this.